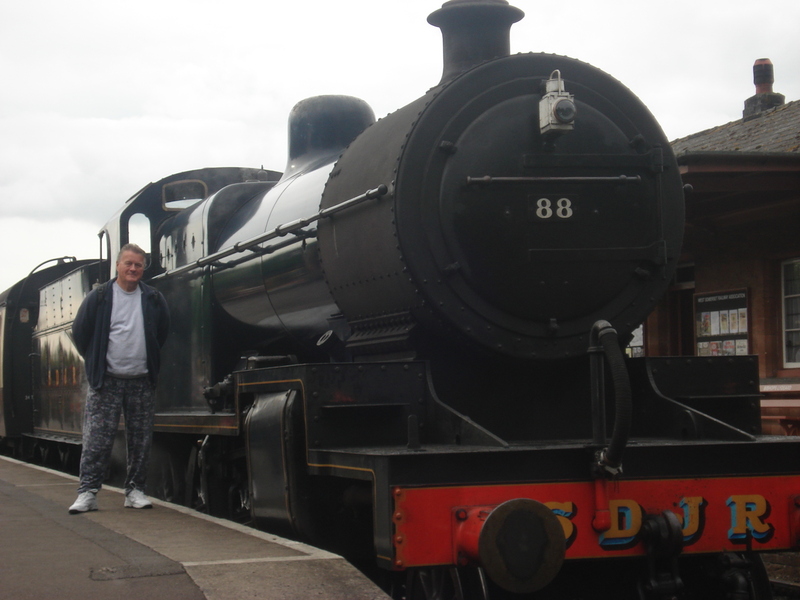 On Thursday 23rd April, St George’s Day, Neil and I were treated to a day out on the West Somerset Railway. 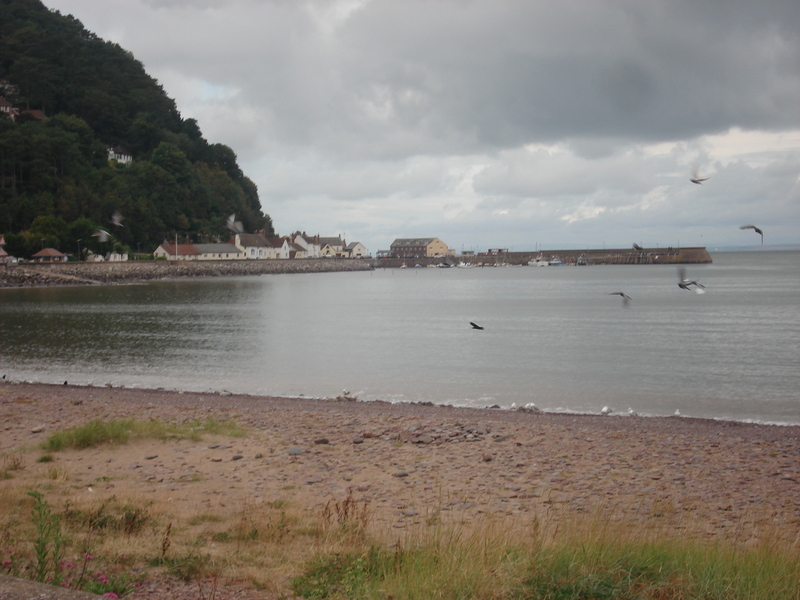 It was a fish and chip lunch as we chuffed our way to Minehead and then afternoon tea on the way back to Bishops Lydeard. What started out as an overcast day quickly turned to sunshine. 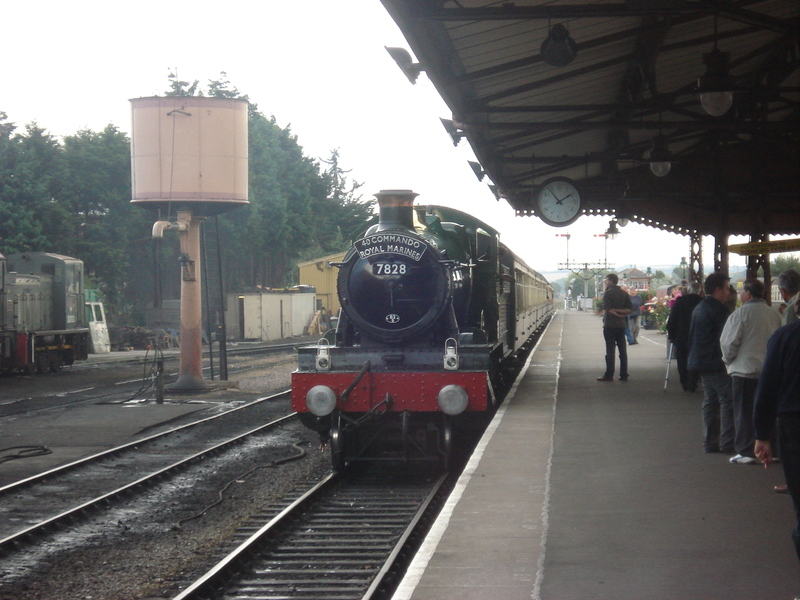 The steam train was waiting for us to depart. 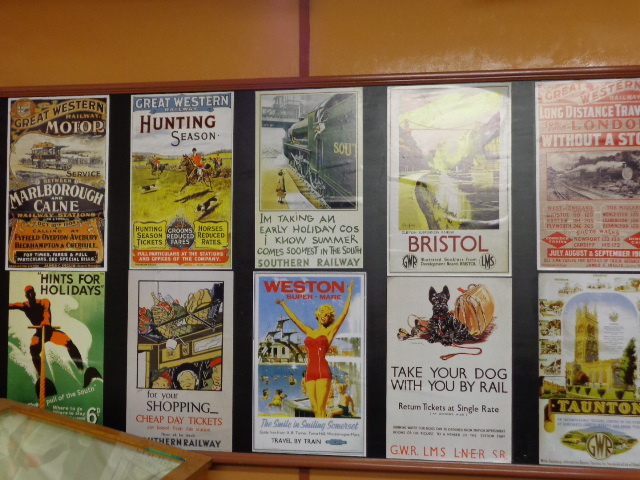 Whilst waiting to depart we visited the museum, I particularly like the old posters. 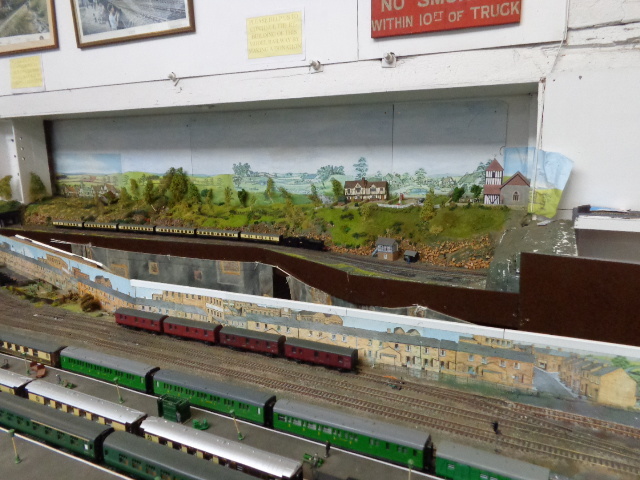 There was a model railway on display, Neil was quite jealous. 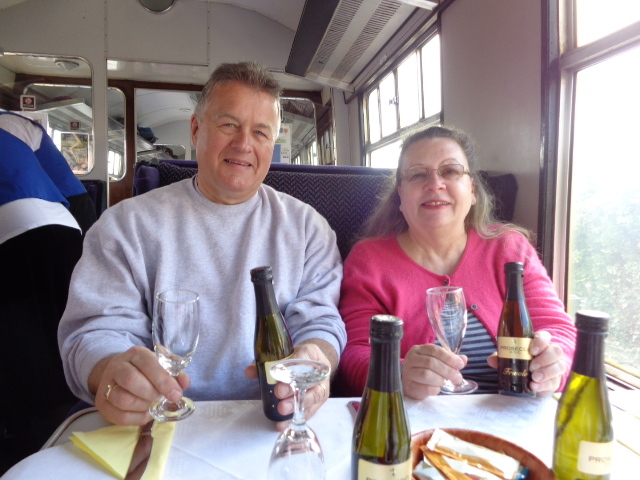 The we set off gently chugging for an hour and 20 minutes and the fish and chips was served with little bottles of Prosecco. 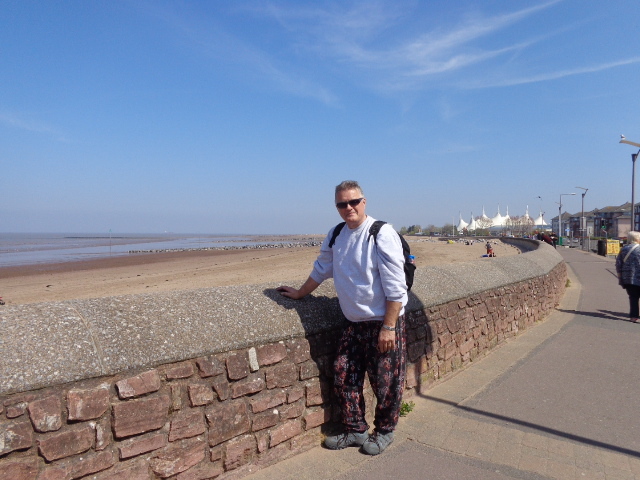 Arriving in Minehead the sun was shining and there wasn’t a cloud in the sky. 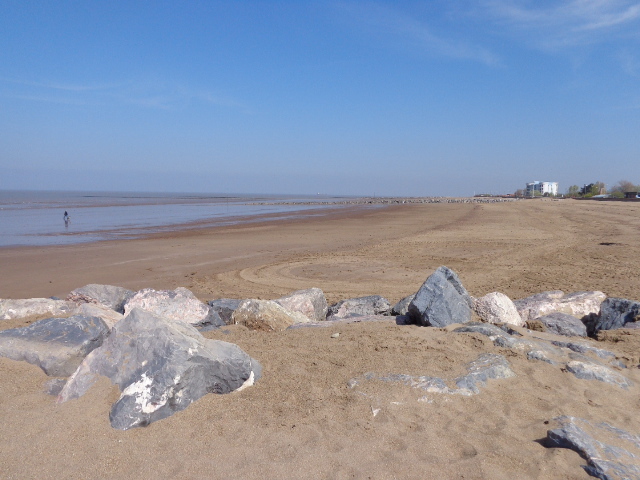 We went for a stroll along the promenade but the tide was out. 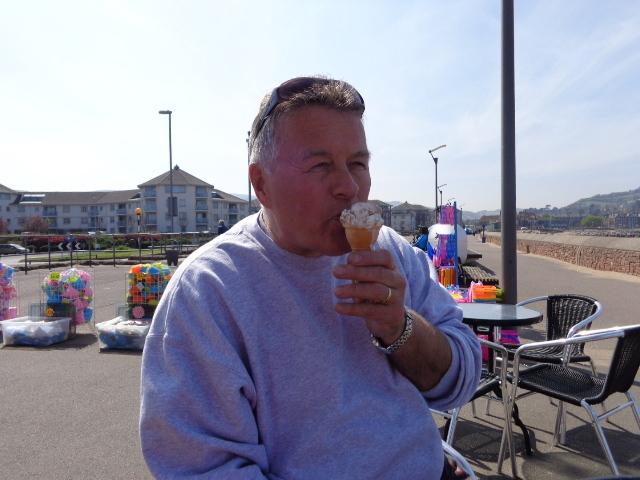 We stopped for an ice cream on the front, well it had to be done!! 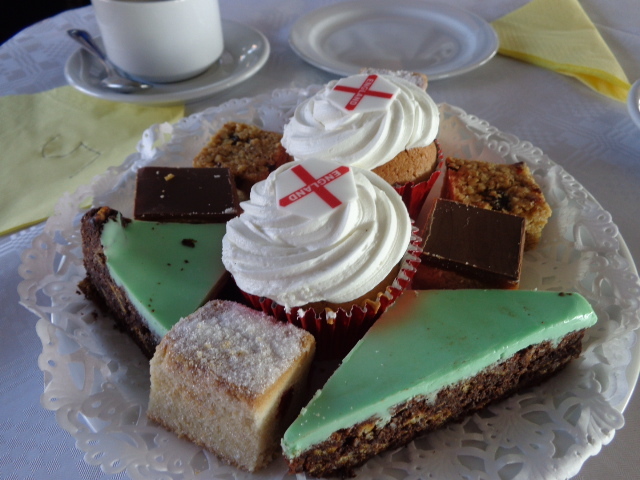 The afternoon tea on the way back was also St George’s Day themed with red crosses on the cup cakes. Now some interesting facts about St George’s Day. It was in 1222 that the Council of Oxford declared April 23rd to be St George’s Day but it was not until 1348 that St George became the Patron Saint of England. April 23rd 1616 was also the date of the death of William Shakespeare. St George was born to Christian parents in AD 270 in Cappadocia, now Eastern Turkey. He became a Roman soldier but later resigned his military post and protested against his pagan leader, the Emperor Diocletian who lead Rome’s persecution of Christians. His rebellion resulted in imprisonment and torture but he stayed true to his faith and on 23rd April 303 AD he was beheaded. The medieval legend of St George and dragon is over a thousand years old. The tale goes that the dragon made it’s nest by the fresh water spring near the town of Silene in Libya. When people came to collect water they disturbed the dragon and so offered a sheep as a distraction. Eventually they ran out of sheep and a maiden was chosen to be the next sacrifice by drawing lots. The King’s daughter was to be the next victim. However at the moment of offering a knight from the Crusades came riding by on his white stallion, protecting himself with the sign of the cross he drew his sword and fought the dragon, slaying the beast and saving the princess. The people of Silene was extremely grateful and abandoned their pagan beliefs to convert to Christianity. Today Neil and I took the unusual step of having a day off working in the garden. 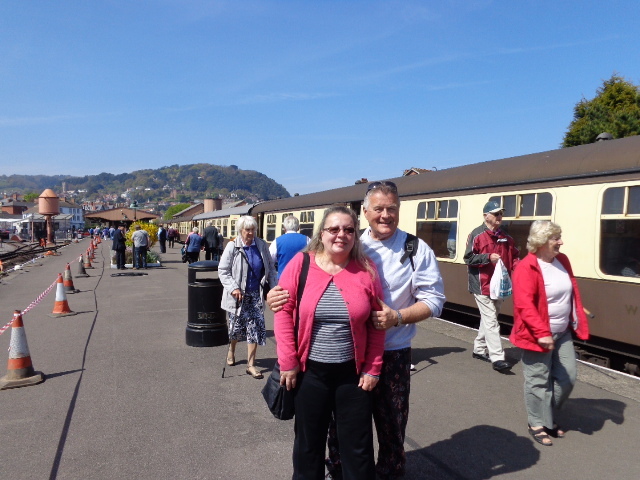 Instead we had a day out on the West Somerset Railway with a trip from Bishops Lydeard, just outside Taunton, to Minehead on the north Devon coast. Yes it was grey and overcast, and we hadn’t exactly picked the best day to go, but we decided to go for it all the same. 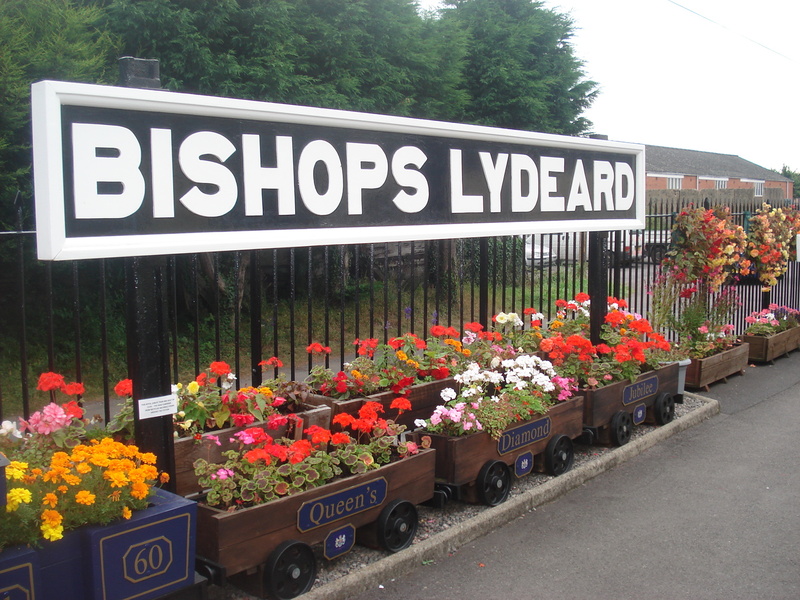 I admired the lovely flowers everywhere at the station as we waited for the steam train to arrive. The train gently chuffed it’s way through the various stations and across the countryside for an hour and a quarter before arriving in Minehead. 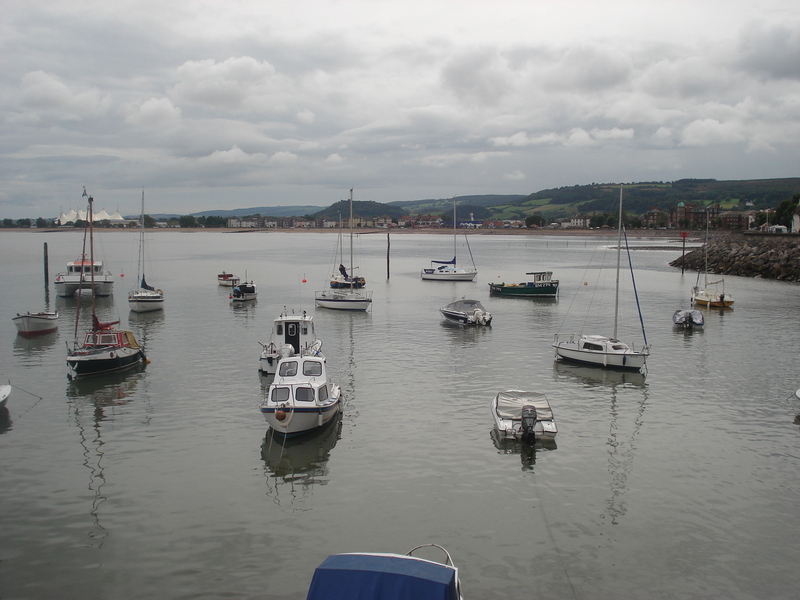 This was a typical English seaside town with the normal assortment of amusement arcades and novelty gift shops, although out of season not that busy. The tide was in when we first arrived at the beach. 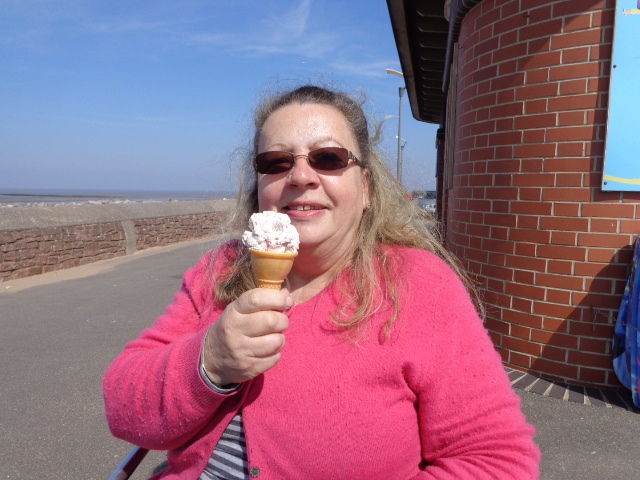 We took a leisurely stroll along the prom to the harbour where we found a quiet pub that served food, and treated ourselves to fish and chips. 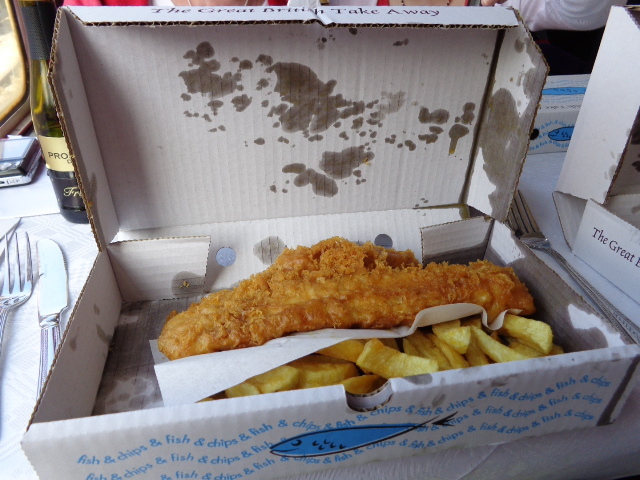 It was very reasonably priced and delicious. We strolled back and on the way passed an old car parked in the front of a hotel. 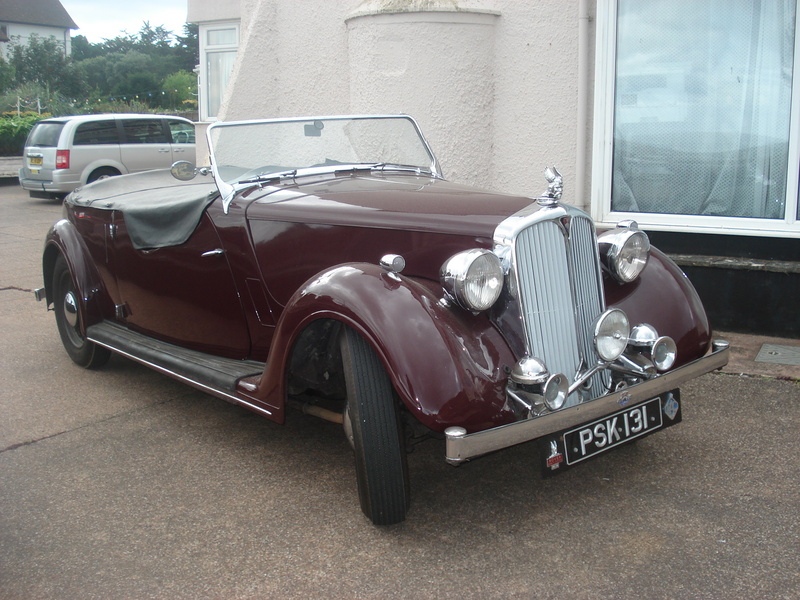 It was a vintage Rover in excellent condition. 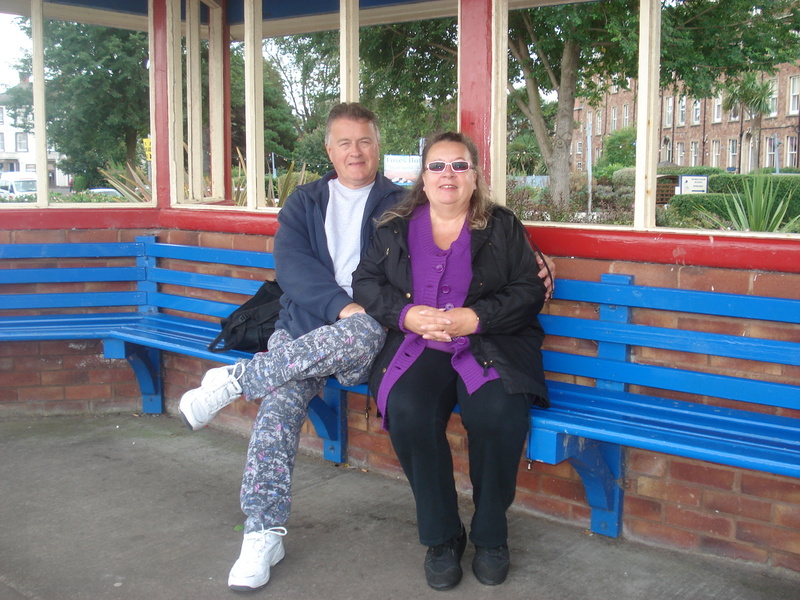 We sat in one of the many shelters along the sea front just watching the world go by. 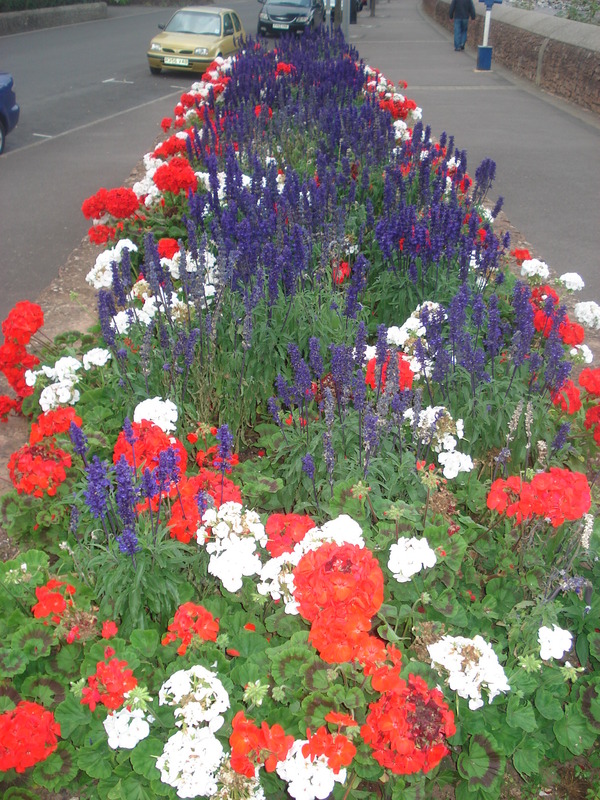 There were some really gorgeous flower beds in colours of red, white and blue, which had been planted for the jubilee. 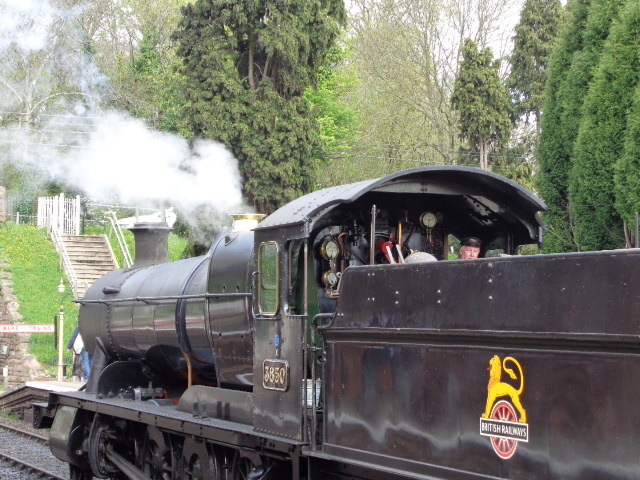 Making our way back to the train station we could see the smoke from the steam engine coming into the platform. 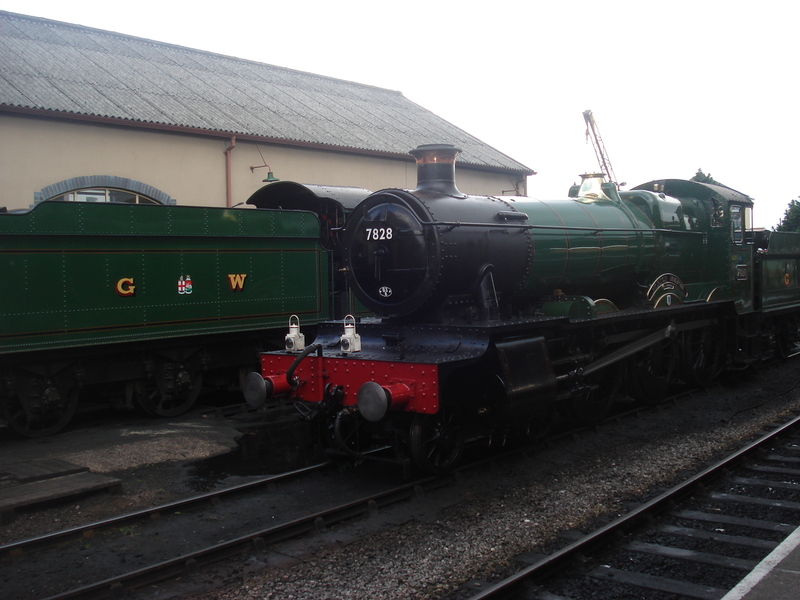 They shunted the engine up and down the track to latch onto the other end of the train to drive us back to Bishops Lydeard. 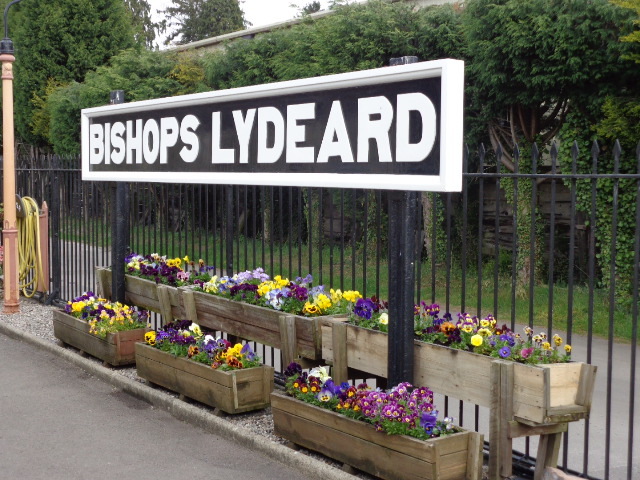 The early afternoon train rambled back along the track to Bishops Lydeard and the sun came out as we were chuffing along. With the rhythm of the train and and warmth of the sun, the effect was quite soporific. We arrived back home early evening to a nice cup of tea. 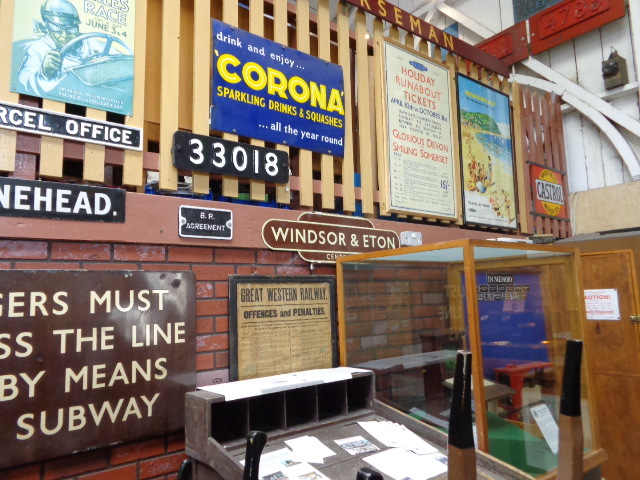 All in all a great day out and thoroughly recommended.